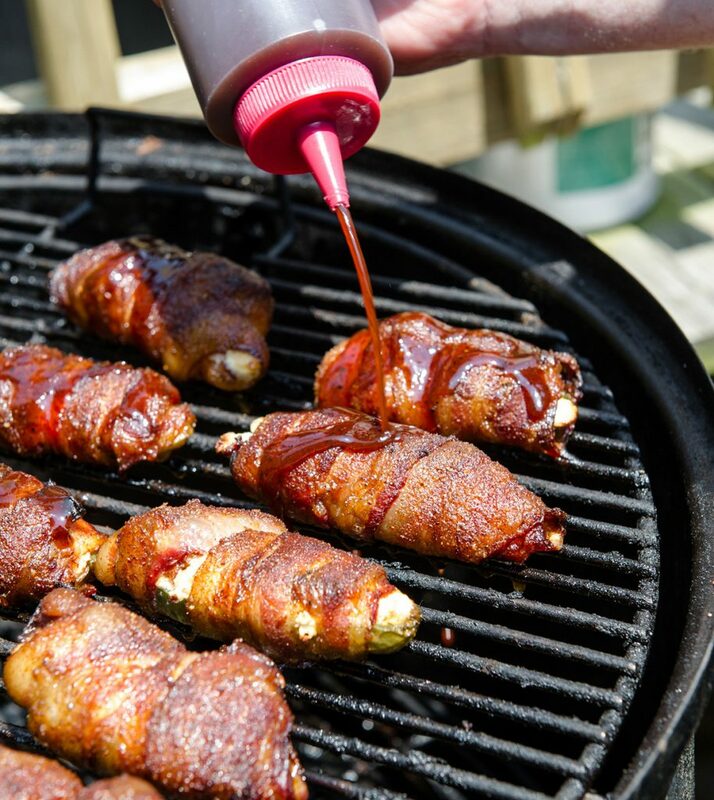 Mix sauce and 3 oz (1/2 pouch) of Smokin’ Applewood Rub together. 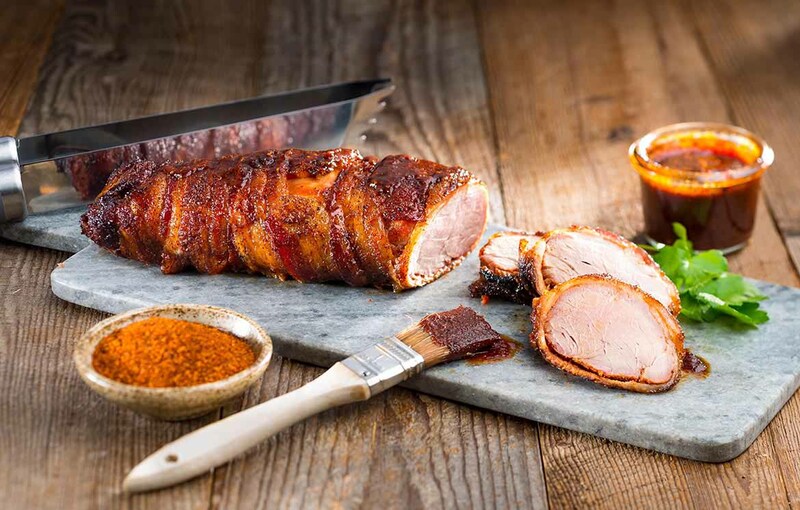 Generously cover trimmed pork tenderloin with the sauce mixture, retaining the extra sauce for later. 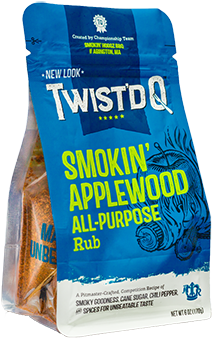 Combine remaining 3 oz of Smokin’ Applewood Rub, brown sugar and ginger in a reclosable 1 gal plastic bag. Pack the tenderloins in the mixture and refrigerate in the bag overnight. Remove the tenderloins from the bag, and place on a smoker pre-heated to 250 degrees. 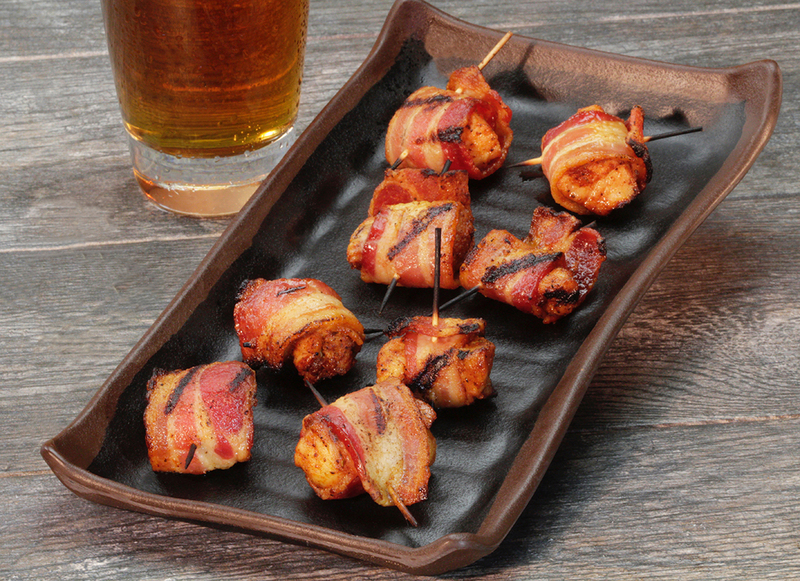 Remove from smoker when pork reaches 155 degrees internally, and let rest for 10 minutes. Heat the retained sauce mixture and serve with the sliced tenderloin.